Having our new website designed by Steve was a smart move. Our business was created 5 years ago and we had to have a website, like everybody else, so one was bought off the shelf. In 2014 we decided to have a new website to better reflect the way our business had evolved. But we had no idea of where to start. We had a meeting with Steve. He guided us through the whole process and we ended up with a website beyond our expectations. When Steve delivered the new website we had a second meeting during which he explained how to monitor the performance of our website and how to maximise it to our advantage. I would recommend Steve anytime. Corinne and Erik had an old website that didn’t accurately reflect what their business did or the type of client they were looking for. During our discovery process, we helped them to define what it was that they did for their clients and the particular problems they were skilled at solving for them. 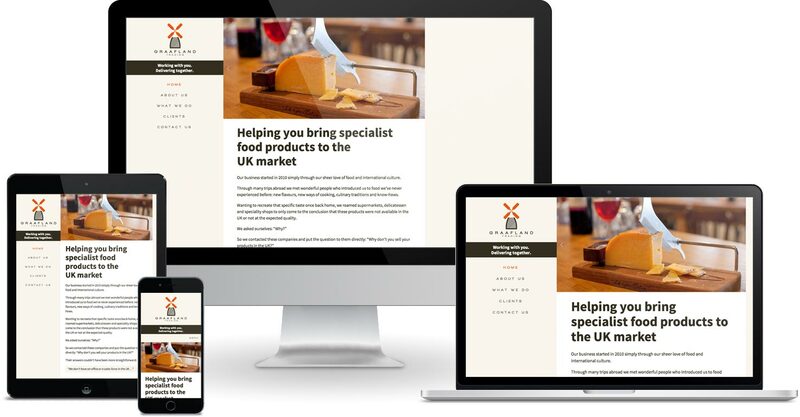 Neither Corinne or Erik are native English speakers, so we advised them on how to write engaging copy that would explain in simple terms how they help specialist food producers enter the UK food market. The site is built using Craft which enabled us to easily incorporate rich content like testimonial quotes and photo slideshows to enhance the site.